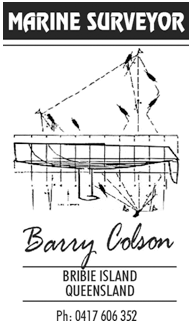 Barry Colson has been a full time practising marine surveyor in Queensland since 2003. A boat builder, published marine journalist and international award winning designer he brings a multi-disciplined approach to marine surveying. Hands on experience include time as a sail maker, commercial skipper, sailing tutor, mast builder/rigger. A member of the Queensland Marine Surveyors Association and an Associate Member of the International Institute of Marine Surveyors, he holds New Zealand commercial skippers tickets (RLL and CLM) and an Australian Coxswain’s certificate. An active participant in local racing Barry has completed over 120,000 off-shore miles including Representing New Zealand at International Regattas. We will provide the necessary, independent opinion to allow for a thorough and considered decision to be made. We conduct a range of inspections and services for recreational vessels including Pre-purchase inspections, condition and valuation reports. All inspections are followed with a professional written report out lining our findings. A thorough internal and external inspection is made utilising non-destructive testing methods. Visual inspections are made of the general engineering and electrical installations. Compression and associated mechanical engineering inspections are not covered in our standard reports but where appropriate we will recommend a separate specialist report. Our standard rates do not cover sea trials which can be requested and quoted separately. The vessels rigging is inspected from the deck only and sails are only inspected if a sea trial is under taken. Pre-purchase Inspections: These are the most comprehensive type of inspection and are recommended when purchasing a new or used vessel. 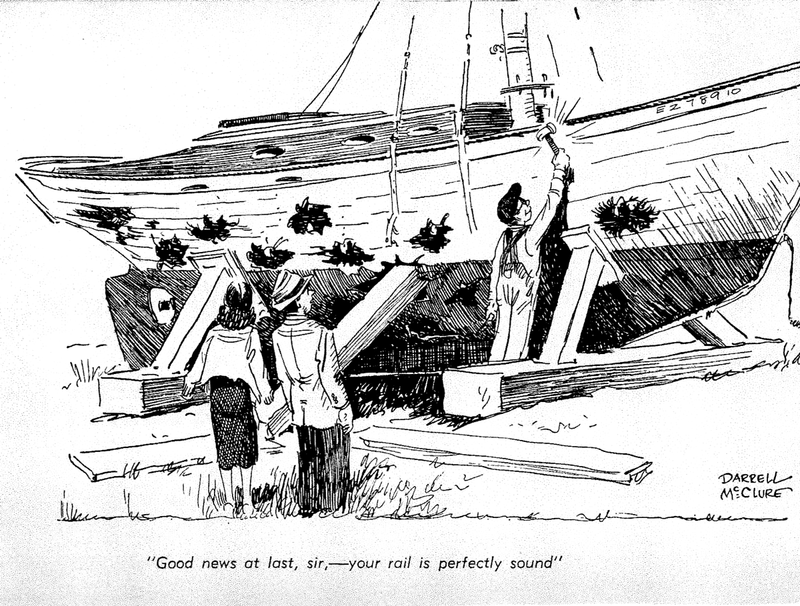 The condition and over all operation of the vessel is examined. Areas covered include structural integrity, propulsion system, fuel system, navigational equipment, electrical system and miscellaneous on-board systems. Insurance survey: These are performed to provide the insurance companies with independent evaluation of a vessel to determine whether or not the vessel is an acceptable risk. Priorities are structural integrity and safety as well as suitability for its given area of operation. Appraisals: These are performed to provide information to determine the vessels fair market value. Such appraisals are usually required for financing, estate settlements and legal cases. Damage Inspections: Are performed to assess the extent of damage, recommended repairs, estimate of repair costs and if requested, probable cause.